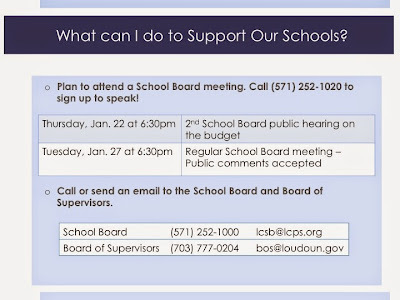 The School Board decided they didn't need the optional work session scheduled to discuss the budget on Wednesday. Instead, they will entertain motions and plan for adoption on Thursday as scheduled. 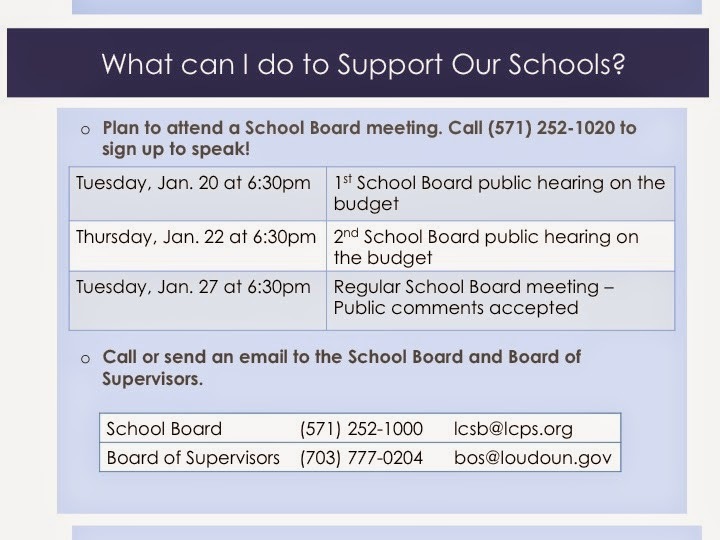 While this was the last night to speak to the School Board at a meeting regarding their budget, you can still call or email your School Board members and cc: the entire board at lcsb@lcps.org with your thoughts. Modifying the Full-Day Kindergarten proposal to consolidate some of the schools with space but less at-risk students into less schools. This would reduce 7 teachers and teacher assistants to save approximately $965,762. 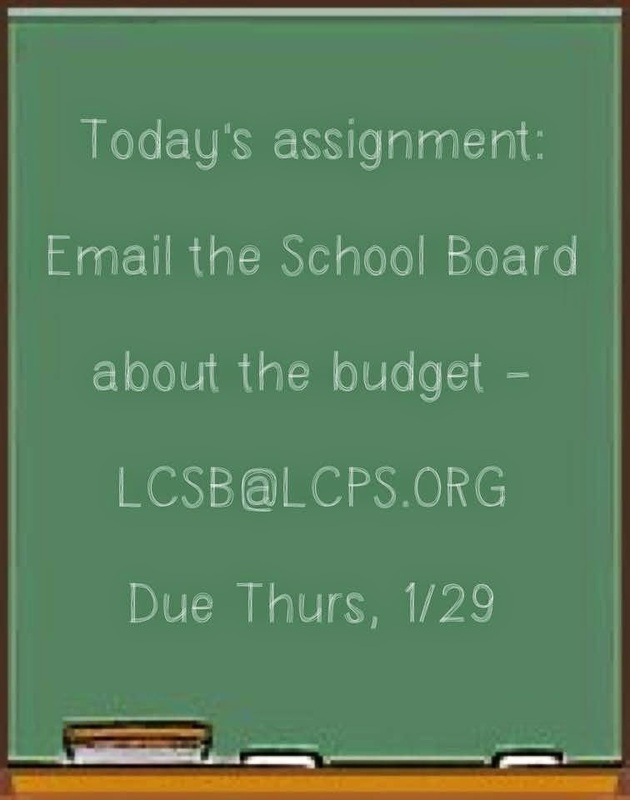 Restoring summer school with possibly reallocating summer enrichment programs such as Summer in the Arts if needed. 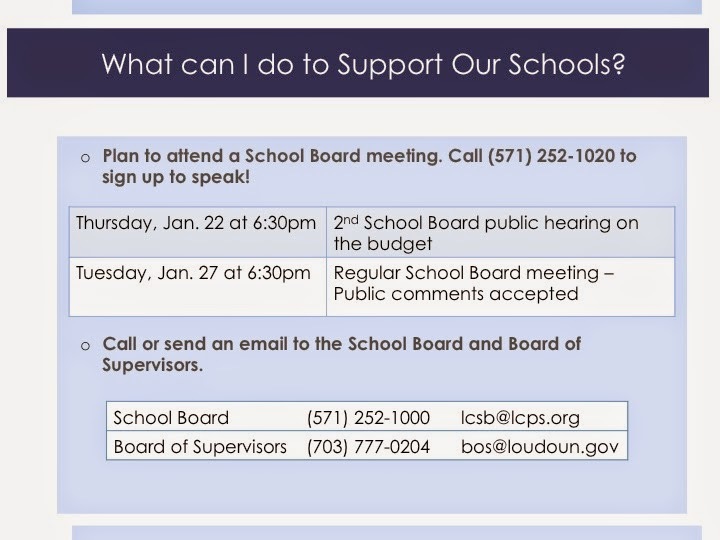 Once the School Board adopts its budget request, the Board of Supervisors will then decide on the funding they will provide the School Board based on its request. 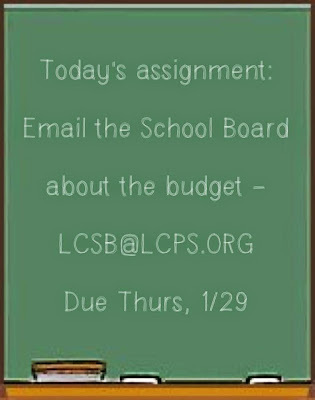 The County Administrator is scheduled to present his proposed budget on February 4.